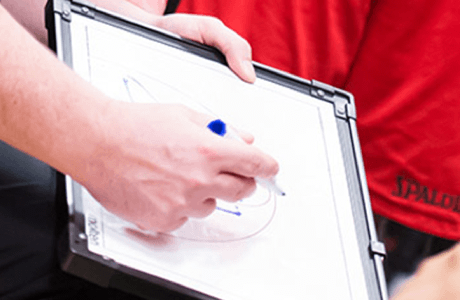 Home / News / EABL Coach of the Year Awards announced! 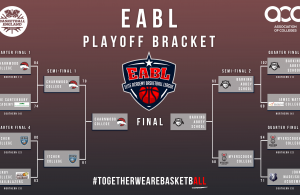 Throughout the upcoming week, we’ll be running down the various award winners from across the Academy Leagues as we close in on the season’s Playoff Finals on Wednesday 3 April at University of Essex! To kick us off we have two well deserving play callers who have been named EABL Coach of the Year 2018/19 as voted for by their fellow EABL coaches. In the North Conference, Derby Trailblazers Academy’s Matt Shaw collected the honours after leading his side to a 9-5 regular season mark and an impressive 3rd place in a tough conference. The award is Shaw’s third as a Head Coach after previously picking up the Western Conference Coach of the Year Award in both 2015/16 and 2016/17. The Midland’s programme continues to go from strength to strength as a pipeline for talented young players and a lot of the credit for that should rightly go to the Derby man. The continued development of standout players like Blake Bowman (16.1ppg, 8.3rpg) and Luke Ptak (16.0ppg, 5.4rpg) further highlights why Shaw is held in such high regard by his fellow Coaches. In the South Conference, Itchen’s Matt Guymon has added another accolade to his already impressive coaching CV as he receives the South Conference Coach of the Year award. 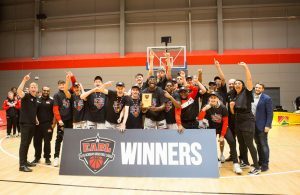 After leading NBL Division One’s Team Solent Kestrels to impressive heights in recent years, Guymon has ensured that quality is replicated by Itchen as they finished 2nd in South with a 15-3 record. As the only team to defeat league winners Barking Abbey, the South Coast programme have looked strong throughout this season’s campaign. Like Matt Shaw, Guymon is also a repeat winner of this award, previously getting the nod in both 2014/15 and 2015/16. The 31-year-old is also responsible for the current development of one of the game’s leading lights, multiple EABL Player of the Month winner Jeremy Sochan. 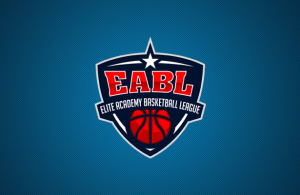 Tomorrow we’ll be announcing this season’s EABL Defensive Players of the Season as we continue our week of seasonal awards. Next Story → Richardson and Price win EABL Defensive Player of the Year!